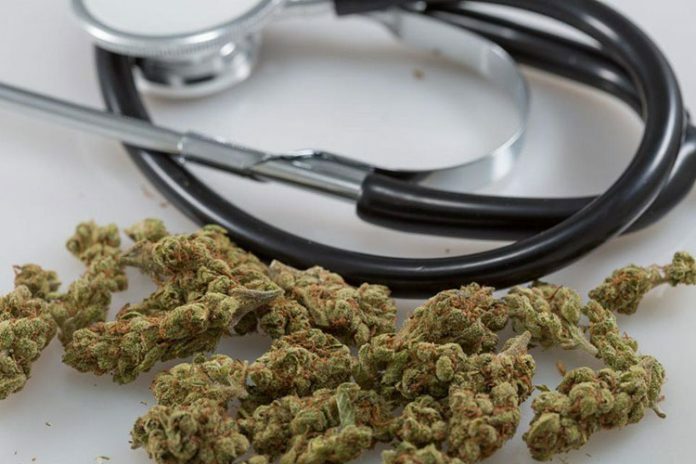 The Medical Board of Ohio this week approved certificates for physicians to recommend medical marijuana, another step toward the legal sale of medicinal pot in the state. Of the three dozen doctors approved to issue recommendations for medical marijuana, only two are in the Toledo-area, although more can be certified later. Dr. Ryan Lakin, medical director for Omni Medical Services, is based out of Toledo. Dr. Mark Neumann is based out of Temperance. Patients can’t be prescribed medical marijuana because it’s illegal under federal law, so doctors must recommend its use. Michigan-based Omni runs a series of clinics for marijuana recommendations in multiple states. Dr. Lakin has provided recommendations to Ohio patients to obtain medical marijuana in Michigan since the Ohio law passed, and said his team has treated thousands of patients since. “As I continued my work and we saw patients to follow up, I realized medical marijuana was offering superior outcomes and patient satisfaction,” he said. The use of marijuana for medical purposes was legalized Sept. 8, 2016, by state law. It allows patients with qualifying medical conditions and recommendations by a certified physician to apply for medical marijuana patient cards. The medical marijuana program allows for patients with one of 21 medical conditions to buy and use marijuana if recommended to them by a physician. Smoking marijuana and growing it at home were not allowed in the law. The Ohio Board of Pharmacy is finalizing the patient registry system to obtain patient cards, with its completion expected in late summer, said Tessie Pollock, director of communication for the Medical Board of Ohio. Dispensaries will begin selling medical marijuana Sept. 8. The legalization of medical marijuana in Ohio is a business opportunity for doctors, and Omni is opening up a statewide network of offices to meet demand from patients, Dr. Lakin said. The state’s law, he said, focused on responsibility, safety, and availability, making it one of the better medical marijuana laws, he said. Dr. Neumann is certified to recommend medical marijuana in Michigan, and said the drug can be immensely useful, in particular because it can be an alternative to opiods for patients with chronic pain. “It’s a life changing difference for so many people because they can eliminate or minimize medicines they are on,” he said. Dr. Neumann said that Ohio-based patients have been asking about medical marijuana since the law passed, though he has not issued recommendations to Ohio patients yet.